Remanufacturing Technology – Blackbird Motors Inc. "Serving the Marine Industry Since 1972"
At Blackbird Motors we offer you the finest, most up to date, replacement outboards and powerheads available. We have the lasted and greatest technology that money can buy! The Gleason welder allows us to weld/buildup material on the journal before grinding it back down to the proper tolerances. This way we can create a strong repair in a journal that is soft or has pits/small cracks. Our RG-230 provides full crankshaft grinding capabilities. It’s allows us to maintaining the proper radius at each journal during grinding to enhance the crankshaft strength and life. Grinding to assure equal stroke length is vital in great performance. 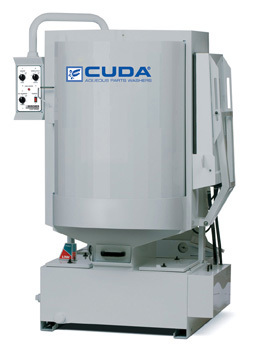 This machine is used in various milling aspects as needed. Resurfacing done accurate and cleaner. Used for block cylinder boring and sleeve work. Will produce accurate bores for a lifetime. We have the ability to perform ultrasonic cleaning on injectors. This back flush procedure provides the most thorough cleaning possible. We can then test each injector’s spray pattern and flow rate to ensure top performance. We use diamond finish controlled hones to achieve the correct finish and size on each cylinder. This process is necessary to achieve the necessary clearances (.0025 to .0045 of an inch) needed for correct piston and ring operations. As part of the re-manufacturing processes the block and many other parts are thoroughly cleaned in our Cuda pressure washing system.